The No. 4 Washington Huskies lead the No. 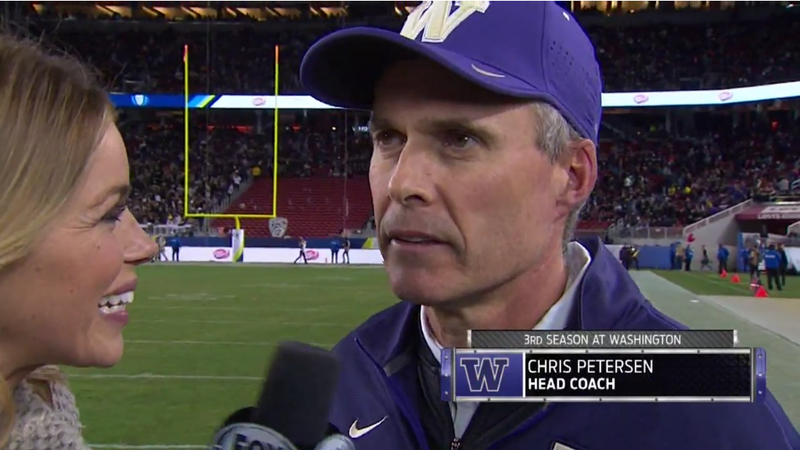 8 Colorado Buffaloes 14-7 at halftime of Friday night’s PAC-12 Championship, and as the first half ended, Fox’s Jenny Taft got an interview with Washington head coach Chris Petersen. Whoops. But, hey, it happens. Just ask Brian Billick.